Knee pain is the most common form of pain that any runner will likely experience even if at varying degrees. The knee is a delicate and complex joint that requires a lot of awareness if you want it to continue to work well for you. 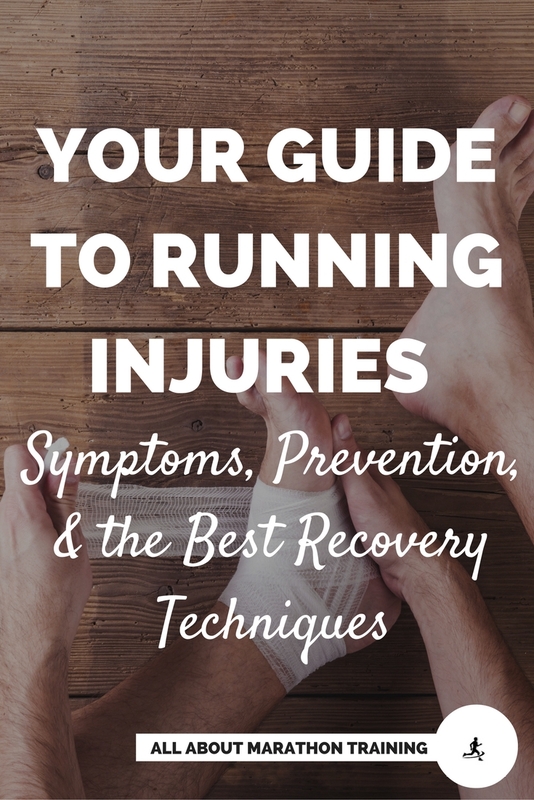 Neglect it and a running injury is almost guaranteed! Don’t become too discouraged if you find yourself having to take a break from running due to a knee injury. Pretty much every runner at some point in his life will be stuck on the couch wishing he could be outside running to his heart’s content. But be patient! One of the most frustrating things of coping with a running injury is to watch a perfectly healthy runner go leaping past you as if taunting you to follow suit. 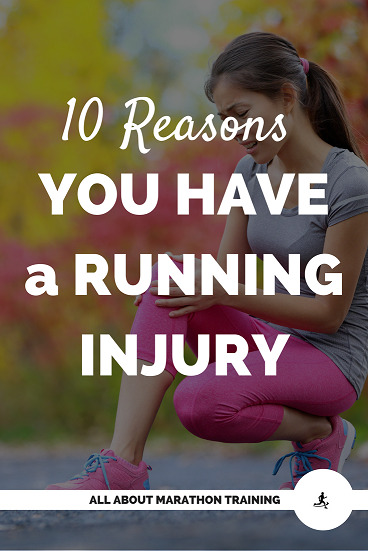 Just remember though that if you wait out your running injury you will come back better and stronger and more motivated (the one benefit of becoming injured!). The knee is a joint composed of the patella (kneecap) and ligaments that connect the joint to the femur (upper leg) and the tibia and fibula (lower leg). The knee is also affected by the quadriceps (the muscle of your upper thigh) and the Iliotibial band which supports the knee and runs along your outer thigh. 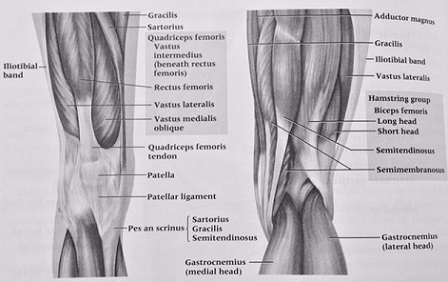 Each of these bones, muscles and ligaments is vitally important for the condition of your knee. Your knee can be incredibly self-willed and refuse to operate if one component of it is weak. 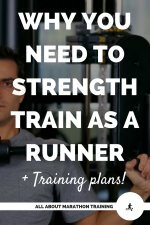 It will force you to have to build stronger knees which can ultimately be a very good thing and injury proof your running. Runners Knee (or Patellofemoral pain syndrome) is the most common form of knee pain. Runners Knee exhibits itself as a pain inside and around the general area of the knee. 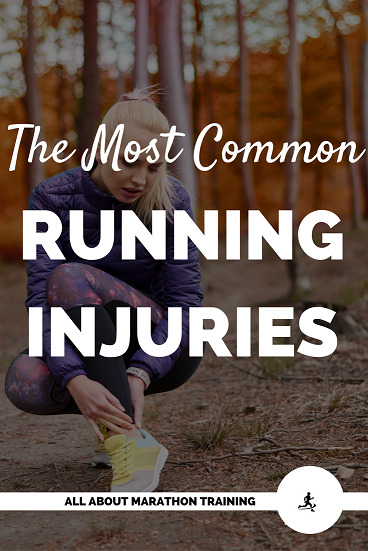 The pain can be sharp, dull, sudden or long lasting and can come and go while running or resting. Causes: this common running injury is sometimes traced back to biomechanical issues (overpronation of the leg will lead to the kneecap wearing out the cartilage in the knee) but is more commonly associated with weak quadriceps and tight hamstrings. As a runner your calves and hamstrings develop at faster rates than your quads. If your quads aren’t strong though then they can’t give support to the patella (kneecap) and so it throws it out of alignment. If your hamstrings are tight they will put unnecessary pressure on the knees. Prevention: Work in some stretching (to relieve tight hamstrings) and strengthening routines (to build quad strength). If you are looking to rebuild cartilage that has been worn away it may be a good idea to apply some hyaluronic acid which helps to ease pain, reduce inflammation and cushion joints. Tendonitis (Patellar Tendonitis) is pain that is in the tendon that connects the kneecap to the shinbone. The pain can either be felt on the inside or outside of the knee. Causes:Usually is due to a direct injury to the tendon or from overuse of the tendon. Running tends to create small tears in the tendon and if you increase your mileage too rapidly your body finds it harder to repair. Prevention: Add squats which will strengthen the tendon. Stretch out your quads and hamstrings after runs. 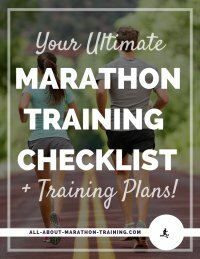 Don’t increase weekly mileage too rapidly. Also keep off excess pounds as this will put added stress on the tendon. Iliotibial Band Injury (ITB) is caused by the inflammation of the IT band which is a T-shaped band that runs along the outside of the knee . It is made out of soft tissue that covers the part of the leg fascia.This injury is also generally referred to as "Runner's Knee". Causes: Extra weight will put more pressure on the iliotibial band so those who aren’t at healthy BMI’s are at a higher risk. Other factors include increasing mileage too fast, pronation of the foot, too long of a stride and even repeatedly running in the same direction on a circular track. Prevention: Add strength training routines that will strengthen your IT band (walking sideways with resistance ankle weights will do the trick) and side stretches. Focus on your stride length and don’t over pronounce it. Patellofemoral Pain Syndrome is a condition where you feel pain and/or stiffness in and around the patella (kneecap). 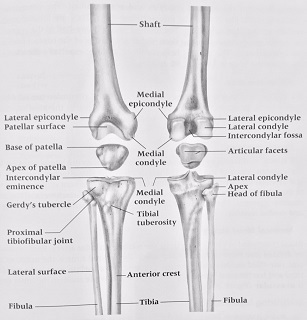 Causes: Patella is thrown out of alignment. Women are particularly vulnerable to this syndrome since their joints are more flexible and are more prone to fall out of alignment. Those who have high arches or flat feet are also at a greater risk for developing this syndrome. Prevention: Add strength training routines that focus on your quads and hamstrings. Squats and lunges are highly effective as they can increase the ability of the patella to act as a stabilizer. This is a general guide to knee pain. Knee injuries can be highly complex and it may be a good idea to see a physician if you are undergoing a lot of discomfort and especially if it hurts even when you walk. The knee is the joint that always needs a high level of TLC so be aware! 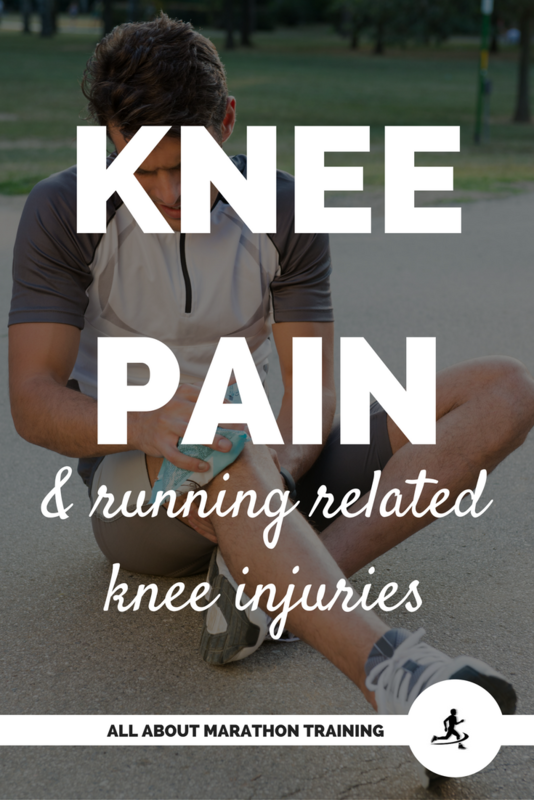 Click on the above links to see more information on the various knee pain injuries, strengthening exercises, flexibility exercises and how to get back into a running routine.